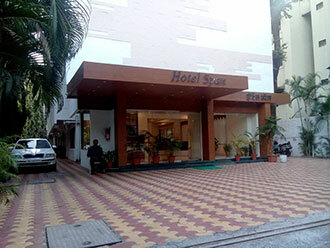 Serenity is personified in the natural ambiance of this 2 Star hotel, which is located at Jungli Maharaj Road near to the Shivaji Nagar Railway Station. It has 25 comfortable rooms to offer. Kamat Restaurant serves pure vegetarian cuisine to its guests. There is also a garden space that can be converted into a party venue, which can accommodate a small gathering of 30 people.